So scratch all of that above. Potty training is actually not fun at all. Nope, not a single tiny ounce of it. In fact it's one of my most grueling and excruciating parenting experiences to date. But here's the great news- we did this successfully two years ago with my oldest son Greyson, and I COMPLETELY forgot how much I hated it until this very week, now that we started to potty train my youngest son, Parker. So on the bright side- yes, it is awful and hard but then you will most likely forget all of that awful part and instead be left with a happy, more independent, self sufficient potty trained child, and your time will be freed up to do more exciting things- like plan that family get away. I am not a big- You need to do it this exact way- kind of a gal. Instead I'll tell you- Here's what worked for us and I hope it works for you too. I will give you the steps we used with Greyson. It took Grey about 3 weeks to finally just start to get the process and soon after that for his daily successes to grow bigger in number than his accidents. After about 5-6 months we were able to catch him mid-poop in order to put him on the toilet to finish. Pooping independently on the toilet took about 10 months. Sleeping and napping in underwear took the same. I waited until I saw two weeks of dry pull ups before I attempted underwear. We just started potty training Parker on Monday using these same technique recommended by our Autism Home Behavior Therapy program, mixed with the things that work for us. These tips can work on typical children, as well as any variety of different developmental delays besides autism. I'm going to break it down into four steps because I like things in bite sized chunks. A few months before potty training we spent (even more than usual) naked time outside. Each time I would see Parker urinate I made a big deal out of it to create an awareness of his own bodily functions. Up until then he hadn't shown any realization. "LOOK! You go pee pee!" I would exclaim as he was going, making sure he was looking at me and my point towards his stream. I would also make similar comments when I noticed he was going #1 or #2 in his diaper. Neither Parker nor Greyson were showing very many behavioral or cognitive signs of potty training readiness but this was a good step to create more awareness. First, you need a child and a potty! Shew, so glad we got those basics covered. I recommend a bathroom that gets the least amount of traffic in your house or therapy center but isn't far from where you are spending your time. You need to be able to pop in there in a jiffy. We use this potty cover and an adult toilet. I prefer a cover as opposed to a small potty because that would add another step to our plan. Most likely if my boys were trained on a small potty - we would then have to partially re-train them to use the adult potty. I also need to be able to see inside to see if they are urinating. I know some children are more versatile and can use either. Most likely your child's legs will not reach the floor. You need a step stool tall enough for them to rest their feet. Otherwise, the less comfortable they will be- then the more likely they are to want to get off of that darn toilet. You also need a chair for you because guess what?- you need to be comfortable too. We also use training underwear because it's thicker and holds more pee during accidents. And for the final and practically MOST IMPORTANT tool (next to aforementioned child and toilet)- A REINFORCER! Something HIGHLY rewarding to give the child each time they have a success on the toilet. Parker LOVES the Hershey Drops you see on top of the toilet. The reward needs to be much greater than the pain associated with sitting on the toilet. Keep this item in the bathroom so you can deliver it INSTANTLY after a successful pee pee in the potty. It's also good for the child to see it so they can connect the desired behavior (peeing in the potty) to the reward. Grey doesn't like screaming and clapping and hoopla- so I kept it as tame as possible (man was that hard for me) and we made it more about the reward. "You go pee pee-you get chocolate. Great job going pee pee in the toilet." Parker likes the hoopla (like me) so I BRING IT. WOOOOO HOOOO!!!!! WOOT WOOT!!! It's the GREATEST feeling in the world. 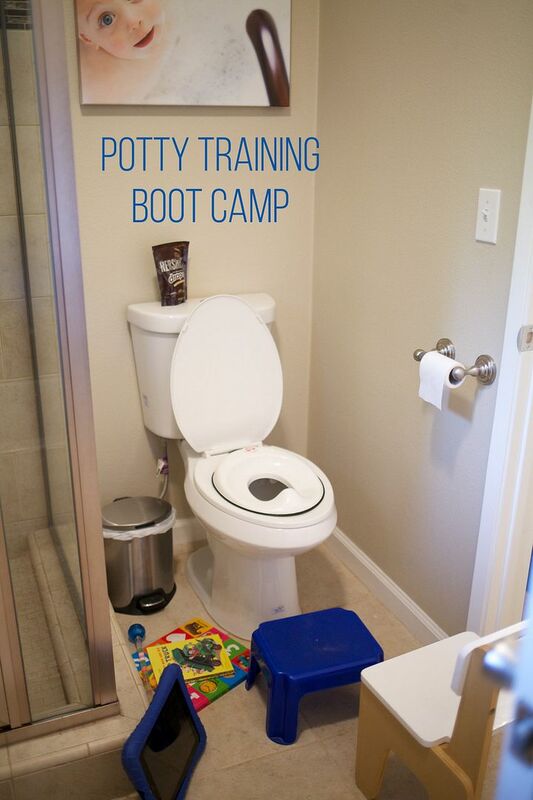 We do potty training boot camp -which basically means full throttle from day one. 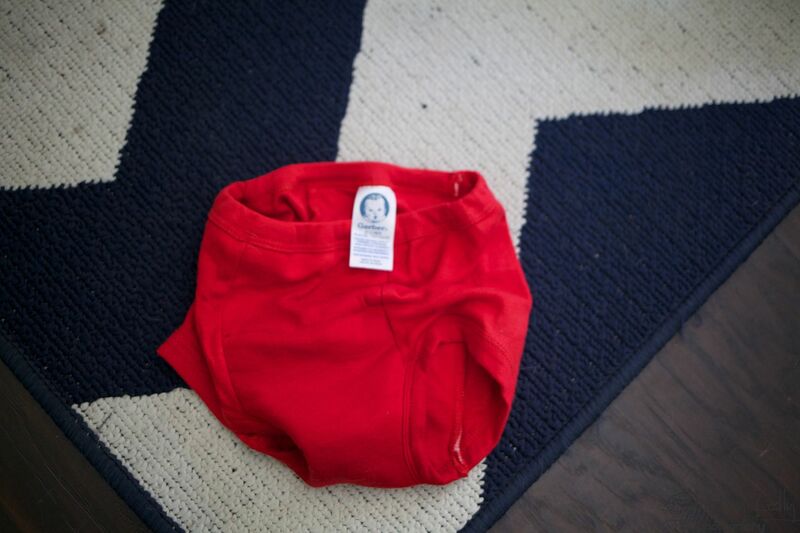 We go straight to underwear in the hopes that Parker will soon begin to instantly realize when he is urinating. Unfortunately neither boy is bothered or even seem to notice if they are wet or dirty. (Do not fret- Greyson is now 100% potty trained so this did not hinder him from catching on). We also let him hang out in his underwear while at home to make the whole process easier. Ask Parker how he feels about hanging out in underwear all day. You DO NOT need to wait until your child is verbal or has words for going to the bathroom to potty train. In fact, many typically developing, verbal 2-3 year olds will instantly answer "NO" when asked if they have to use the restroom anyway. What often ends up happening is either the parent knows they actually DO have to go, so they make them use the restroom, the child has an accident, or they will just run into the restroom at the last second on their own. So do NOT let your child's non-verbal status scare you or stop you from trying. At first all you really are trying to do is time your bathroom breaks to catch as many successes as possible. Then you are trying to create a mental connection within the child so that they understand that this desired behavior (peeing on the potty) gives this desired reward (a handful of chocolate). It is much more a cognitive/behavior task than communicative at this point. As that cognitive connection is being made you will overlay communicative intent by using a picture or icon of a toilet. Start with a picture of a toilet- yours or a stock photo from Google. Laminate it- this suckers going to see a lot of use. Have the child hand you the picture when it is time to go to the bathroom. Depending on your child's ability- have the child verbalize or approximate "potty", "Toilet", or whatever word you want to use. Now you are ready to go for it. Make sure the child pulls down their pants, gets on the stool and sits on the toilet on their own doing. If they are not able to do this- then at first you will need to work on that skill. 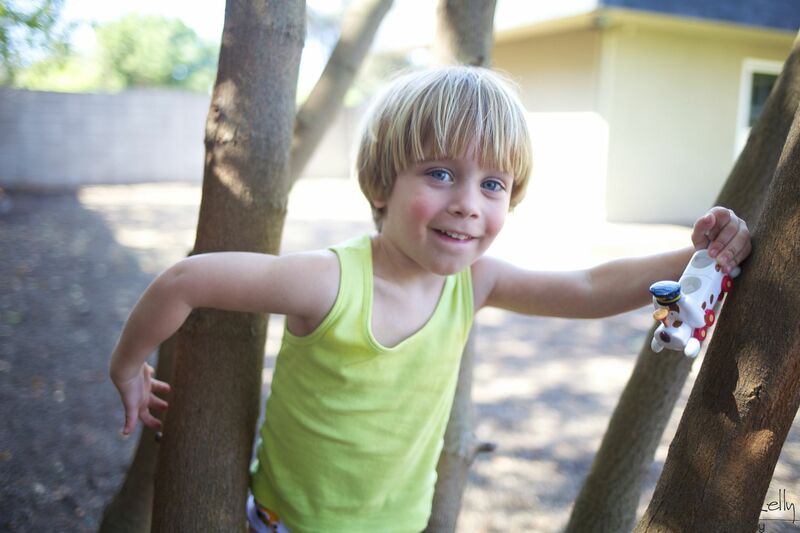 Adjust per any specific physical limitations your child may have. Pulling down their pants and getting on the toilet is an important part of gaining independence, learning self-help skills and the entire potty training experience. At first keep the time spent of the toilet short- just a few minutes. Keep track by setting a timer because the bathroom is a time-sucking vortex. If your child urinates, do this same thing in an hour (and thank your lucky stars and buy a lottery ticket). What most likely will happen though- is nothing. Tick tock tick tock- and the timer goes off. Then you try again every 15-25 minutes until the child is successful. Remember to keep the time they spend sitting on the pot fun and engaging. Today I was NOT allowed to sing songs or read books. Thank goodness for smart phones and Blue's Clues. This is all beginning to sound a little too easy- right? So here's what USUALLY happens. You sit them on the potty and nothing. So you take them off. And despite the 15-25 minute subsequent bathroom breaks your child will still have an accident-(We've already had 6-7 today). Accidents are part of the path to success. 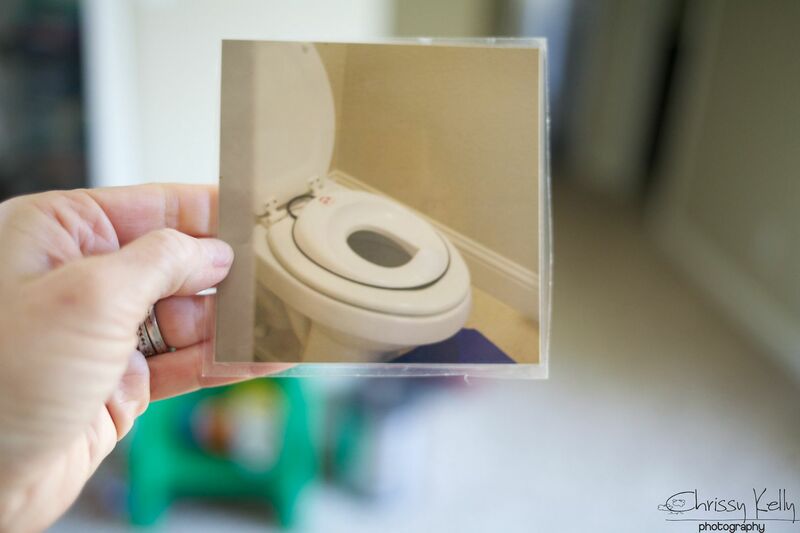 You're just starting out- so don't consider it a failure- it actually helps you figure out how often(ish) your child goes potty. For Parker right now that is anywhere from every 30-90 minutes. Many children average somewhere between an hour and an hour and a half. Parental consistency is a very important factor at this stage. This is when it starts to get hard for me. Successful potty: attempt again in an hour. As time goes by- you can increase that number to 90 minutes if it is more in line with your child's frequency. No potty: Try again every 15-25 minutes until successful. Accident: Try again in 30-60 minutes, and then every 15 minutes until successful. If we keep having accidents we go completely underwearless in order to catch the pee midstream so we can then place the child on the toilet to finish. We use pull ups for naps, nighttime and when we are going somewhere further away than 5 minutes. This is hard stuff and I don't say that to deter you, I say it to encourage you. It's hard when you hear a parent of a typical child say- "Potty training was so hard- it took us a week." I know there are some of you that have been working at this for months and even longer without success. YOU ARE AWESOME. All we can do is get up every day, wipe the slate clean and try again. Like all hard things in life that we must move directly through- it's a mind game and our attitude and willingness to extract some of our ego and emotion is imperative to our child's success. It helps me get less frustrated when I remind myself that Parker and I are on the same team and he needs me to show him how this is done. Physically- it's not a big deal. You spend a ton of time in the bathroom and clean a bunch of dirty underwear. Mentally we can work ourselves in a TIZZY of frustration and fear that this will never happen. I'm here to tell you, it will. And I can't wait for YOU to tell me that it worked for you too. These are some great tips. To me the biggest thing was understanding completely potty training might take up to 10 months. After readying all the 3 day boot camps I had my expectations way too high. It took us around a year to get from start to finish and we still have phases where we have accidents, but if you would have asked me a year ago if I would have stopped buying pull ups I would have said no way. It's a journey but totally worth it! We are currently on this same journey and I appreciate your words of encouragement because it is very hard!!!!! Thank you so much for sharing! We have been VERY casually starting the process, but didn't know where to go. I even thought about asking you write on the topic, but got too shy! On another note, thank you for being such a Super Mom to your Super Power kids, it's gives the rest of us so much inspiration. Keep on keepin' on! THANK YOU!! You are an inspiration!! Thank you! I am definitely trying this! Pump lots of fluids!!! If your kiddos aren't thirsty, give them salty snacks (chips, pretzels, etc) so they will drink more. More liquid = more opportunities to urinate on the potty = more successes = faster connections. I respect the many reasons that parents may choose to wait to help their children learn to use the potty. I have the fortune to spend all day with my daughter and that definitely makes EC more "doable". As someone who spent 20 years as a nanny to kids at potty training age, I can say that I saw a lot of coercion of toddlers who were not at all interested. I strongly believe that if children are not given opportunity to potty as babies, they will likely be much more successful if they wait until much older (very few two year olds are interested in doing anything their parents want so badly for them to do). I must disagree with you on two points. First, every child I know who has used EC even part time was fully out of diapers by 18 months old. So while it may have taken up to 18 months to fully be out of diapers, overall time spent with diapers is far shorter. Second, babies are born with the ability to control their bladder and bowels. The idea that they aren't able to do this until after 2 is an antiquated notion. We all use different methods to help our children. It was merely my point that helping through bribing unnecessary rewards often leads to children who believe that anything worth doing must have a tangible payment. aching any child to move from freely voiding in a diaper or pull-up to using a toilet is a difficult process. Now toss into that situation a child who has Autism, and potty training can go from being challenging to being a severely frustrating and stressful experience for the entire household. 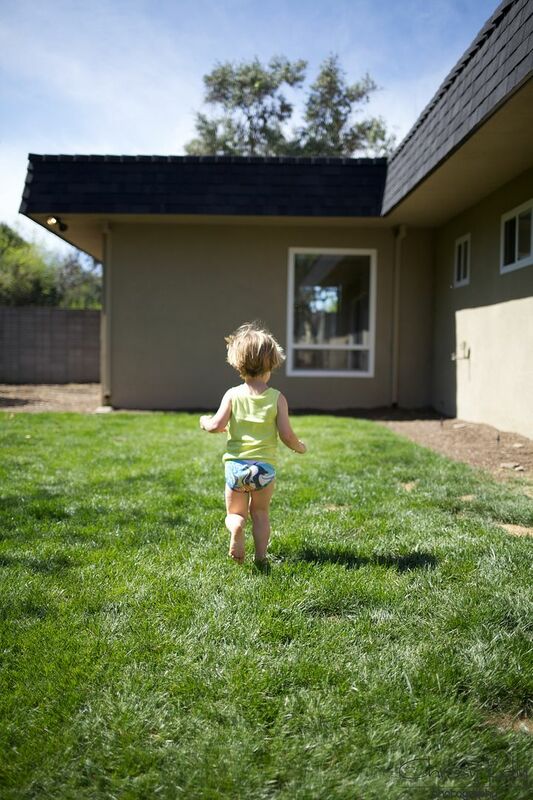 If you think that your kid is ready to ditch the diapers then watch for signs like showing an interest in the bathroom, telling him when he has to go, or wanting to be changed promptly after pooping. Amazing photos and useful information shared about potty training on toilet. thank you for sharing. 1 week into potty training my 4 year old. It's so hard! I feel overwhelmed reading this and am almost on tears. We will get it. We will. Wow, It's an excellent idea. It's very helpful potty training idea. We need to learn our child how to use kids toilet very easily. Thanks for sharing this idea.